It's bikini season, but you have stretch marks? Don’t feel ashamed, you are still beautiful even with all those “battle scars.” Stretch marks gradually fade out over time. If you are in a hurry, you can go under the knife and resort to expensive medical procedures such as laser or surgery. But is there a way to hide them the easy and cheap way? What about tanning? 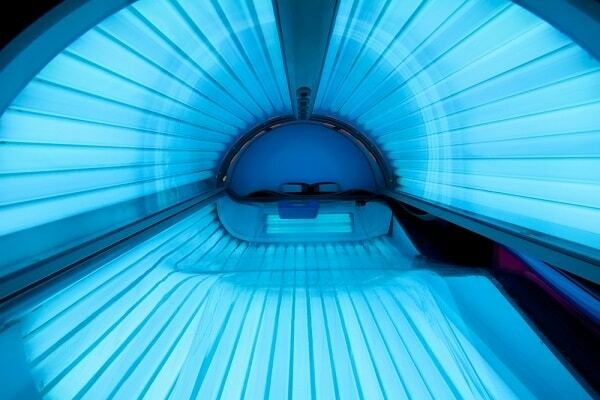 What are the drawbacks to tanning and does it works to hide your marks? Let us find out. 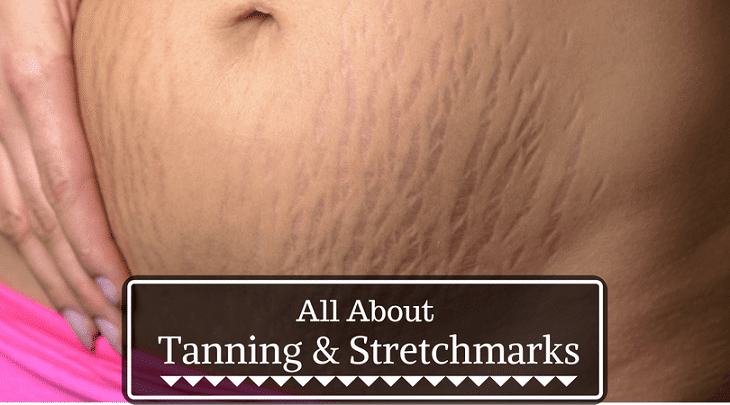 ​Why Do You Have Stretch Marks? 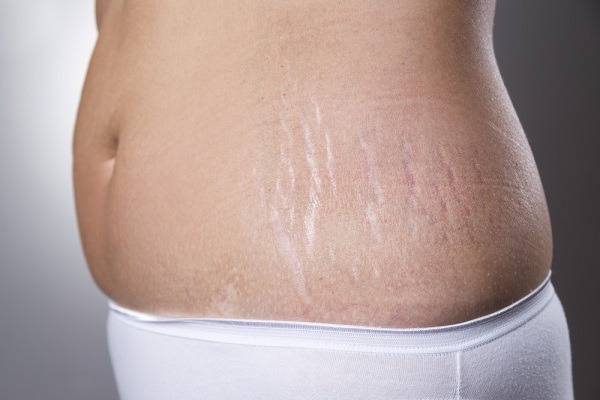 We usually see stretch marks after the battle (pregnancy or obesity) is over. Once you get back in shape, your skin is scarred and not as supple. You are more likely to have noticeable stretch marks on the abdomen, thighs, breasts and inner upper arms if your pregnancy happened at around your mid-30s to 40s. These marks usually become less noticeable over the years, but they won’t disappear completely. Your scar tissue lines may or may not respond well to self-tanner products. Shallow scars can fade easily, but deep scars might not react well. If you have some time to spare (lucky you! ), experiment and try out your tanning product beforehand. Start with a good prep. Shampoo and shower before tanning. Shave your legs. Exfoliate your skin so the tanning product can spread evenly. Do a patch test and let the product sit on a part of your skin overnight. Application. Read the product instructions carefully. Once applied, let it dry completely. Wear loose clothing for the day. Use a tanning mitt that comes with the package. Expect a bit of the tanning product to transfer to your clothes, so do not wear something new shirts. Fill out the stretch lines. If the scar lines are still noticeable, you may opt to put in a concealer around them. Top it off with some loose powder of the same shade as your skin. If you’ll go swimming, better opt to wear a waterproof self-tanner. Old silvery-white stretch marks are easier to hide as compared to new “raw” red to pinkish scar lines. You may not fade them but you can at least hide them. Take note of these tips to achieve that healthy sun-kissed glow. ​Use a tinted lotion/cream. Choose a tinted moisturizer instead of a heavy tanning product for a quick and easy tan. Invest also on a concealer that is the nearest color to your skin. Choose a natural organic tanner lotion if you can find one. If you have recently given birth and currently breastfeeding, it might not be safe to use a chemical-laden self-tanning product. Look for additional skin protection. 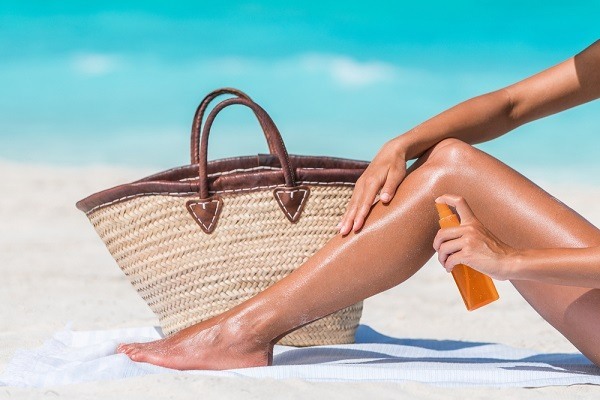 To have the best value for your money, invest on a self-tanning product that provides SPF protection. It is even better if you can find a water-resistant and smudge-proof product. Apply the right way. The best way to get a healthy and natural-looking tan is to apply from your wrists upwards to your hands. Use your tanner on a well-lighted area. Ask your friend or partner to help you apply the tanning spray at your back and sides. Allow the tanner to completely dry for a few minutes (or sometimes hours) before you apply the second coat. Tanning helps to hide stretch marks although this is just temporary. It’s alright to indulge and make yourself presentable, but what’s important is to invest a lot of time to help your skin regain its supple form. Take care of yourself and give it some time for your body to heal. It is possible to fade your stretch marks gradually by using a good moisturizer daily. Stretch mark gels are just high-priced versions of the usual stuff, an organic cream or salve will do just as well. Take note also to drink lots of water and eat a balanced diet. Lastly, exercise to tighten up your skin and tone your muscles. You are beautiful just the way you are, gorgeous mom!